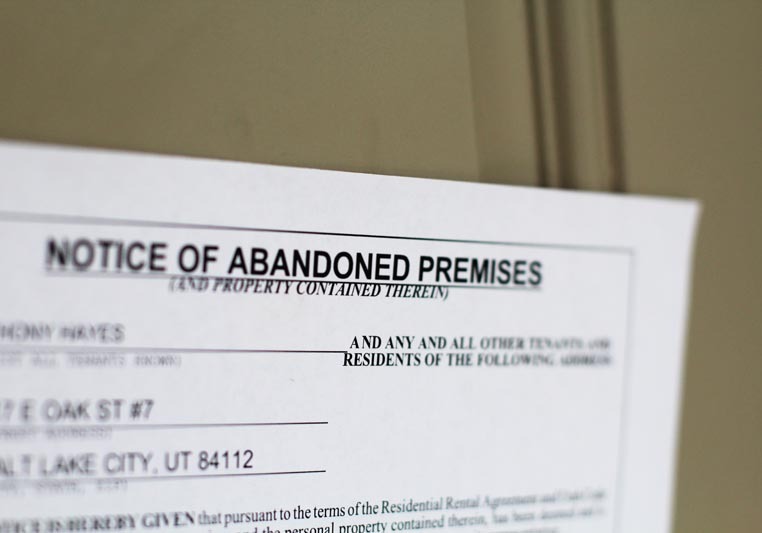 Abandonment 101: Unpaid Rent, Empty Unit - Now What? Rent is unpaid on the 1st day of the month. No big surprise - resident has a history of paying late. Time to serve Three Day Notices to Pay or Vacate - still no rent. Again, not a big surprise. You post the Notice. After the three days is up, still nothing from resident. Time to check the unit. To your surprise, the Notice is still on the door. No answer when you knock, so you go in to inspect. Everything is gone – unit is completely empty. Attempts to contact resident are unsuccessful. Now what? Can you change the locks? Can you move the resident out? Do you have to post a Notice of Abandonment?